For this Back To School we are a running a super competition! 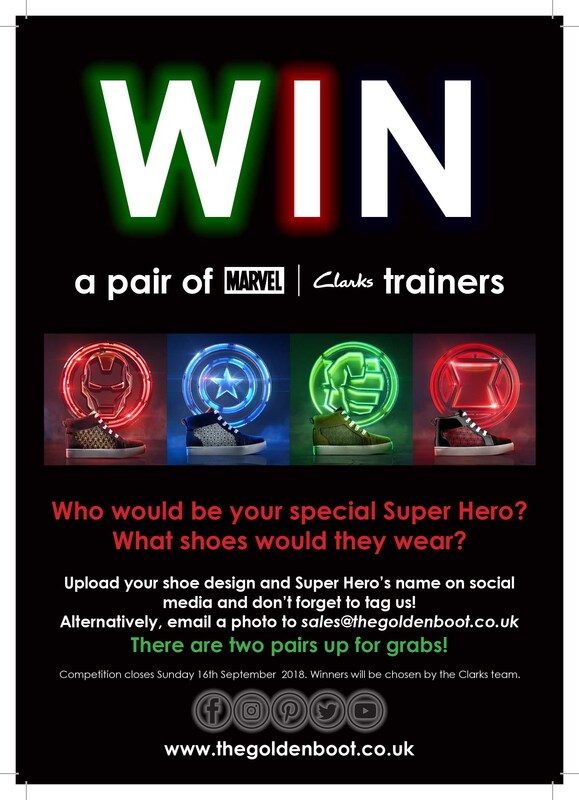 The prize is a pair of Marvel X Clarks exclusive super hero trainers. Upload your shoe design and Super Hero’s name on social media and don’t forget to tag us. Competition closes on Sunday 16th September 2018…so Get Designing!